When you think of Ellis Island in its heyday, you probably don't picture Jell-O. But, as anachronistic as it may seem, the jiggly treat was a common sight at the country's immigration hub. When you think of Ellis Island in its early 1900s heyday as the United States' main immigration hub, you picture huge trunks and inspections officers and crowds of people from all over the world. Jell-O probably doesn't make an appearance. But, as anachronistic as it may seem, the jiggly treat was a common sight at Ellis Island. Gelatin has been popular for centuries. In fact, Thomas Jefferson often served gelatinous masterpieces to dinner guests. But the origins of the easy-to-make, fruity dessert we know today can be traced to 1845, when Peter Cooper earned a patent for "portable gelatin," a powdered substance that quivered to life when mixed with hot water. While some chefs purchased Cooper's product, it waned in popularity until a man named Pearl Wait got his hands on the patent. Wait's cough remedy and laxative business in Leroy, New York had been struggling, so he decided to branch out and experiment with adding syrups to gelatin. Without the know-how needded to successfully market his discovery (dubbed "Jell-O" by Wait's wife), he sold it for just $450 to his neighbor, Frank Woodward. Five years later, the product still had not caught on, so Woodward—a shrewd businessman—took out an ad in Ladies' Home Journal claiming Jell-O as "America's Favorite Dessert," despite the fact that most of America had yet to taste it. The scheme worked, and housewives across the country started serving up jiggly, wiggly desserts. But Woodward wasn't satisfied. In an effort to further his claim that Jell-O was superpopular in the U.S., the company handed out free bowls of it to brand-new, just-off-the-boat Americans docking at Ellis Island. Woodward's message was clear: Welcome to America. Here, we eat neon-colored jiggly things. 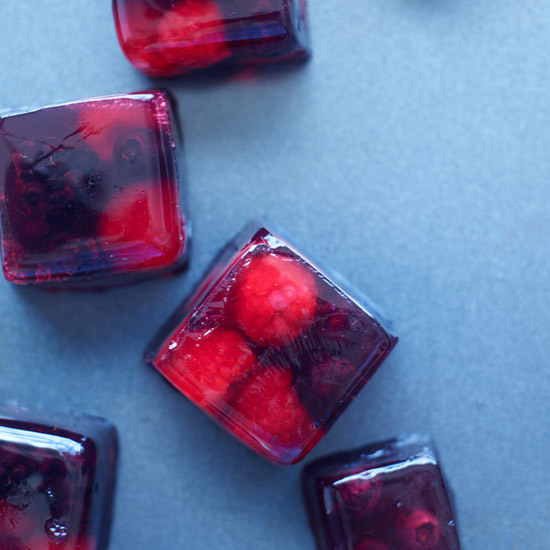 Step up your Jell-O game this weekend with these recipes.